Be sure to check out the SILENT AUCTION at this year's Conference! Each summer the Belwin Conservancy, located near Afton, hosts a bison herd on its’ restored prairie. The Conservancy has built a custom vehicle--the bison buggy--for hosting tours of the prairie and observing he bison up close. 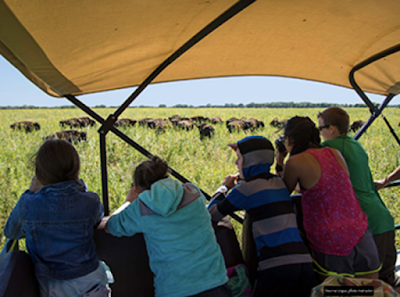 The buggy seats eight, providing a chance to see the amazing creatures—watch and photograph them from the comfort and safety of this custom vehicle, while getting your questions answered by the driver. 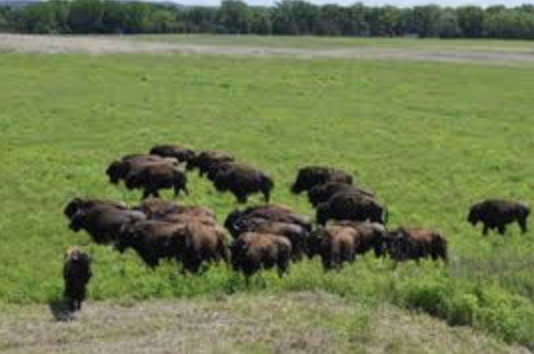 Belwin’s prairies are some of the oldest restored prairies in the area, and their reintroduction of bison offers a unique opportunity for visitors to see a living example of prehistoric Minnesota that also serves as a model for sustainable land use. 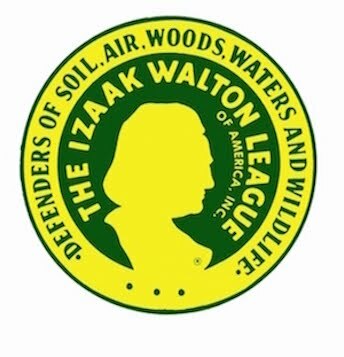 Design With Nature conference uses Silent Auction proceeds to further the Wild Ones important educational mission. Available to Wild Ones MN Chapters through a mini-grant application process, grants are provided for projects which enhance the visibility of Wild Ones in Minnesota and meet the Wild Ones mission to promote environmentally sound landscaping practices that preserve biodiversity through the preservation, restoration and establishment of native plant communities. Over recent years, we have approved a total of $4,000 for projects including printing the “Minnesota and Western Wisconsin Native Plant Nursery” brochures, supporting the Landscape Revival, matching any Wild Ones national “Seeds for Education” awards to Minnesota schools, honoring a recently deceased founding board member of TC chapter with a donation to national, and funding Wild Ones Chapter signage and materials for Outreach. This year a Minnesota school is again in the running for a SFE award, which we will match. THANK YOU to all of the donors to this year's SILENT AUCTION!